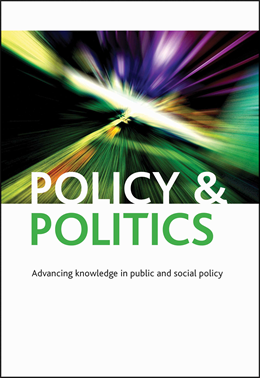 This blog post is based on the authors’ article, Evidence translation: an exploration of policy makers’ use of evidence, which won the 2016 prize for the best article in Policy & Politics and is free to access until 15 June 2017. Scientific evidence in referendum campaigns: politicisation or enrichment? An extended version of this post was originally published in the Policy Briefing section of Discover Society which is provided in collaboration with the journal Policy & Politics. The original post is available at http://discoversociety.org/category/policy-briefing/. Referendums are increasingly used worldwide to allow citizens to directly decide about important policy issues. However, there is growing concern about whether citizens are properly informed when they make their choice in these usually complex referendum questions. For example, many commentators and editorials have argued in the aftermath of the Brexit referendum that facts and scientific evidence was politicised and not correctly used during the referendum campaign. Citizens, so it is argued, had made their decisions based on twisted facts.